​On behalf of ColumbiaCare, we would like to thank you for your interest in the state of the mental health service system in Jackson County, but even more importantly, your obvious care and concern for our fellow citizens who are Jackson Care Connect members. We realize that changes in providers and services can feel daunting, and create unease for both those providing and receiving the services. We hope that by sharing some information, we will be able to ease some of that concern. We have many positive updates to report on our various programs, and want to express our commitment to providing excellent services that are accessible by those who need them. We are proud to be able to share that the ongoing transition process has been going very, very well! We began the pre-planning and community networking piece over 6 months ago, and the actual transition of care for those currently open to services began November 1, 2016. This transition will continue over the course of a year or so. Also, since December 1st 2016, we have been open for service to new clients. Up until now, these outpatient services have primarily been provided at our Main Street Clinic, which truly is a therapeutic and inviting environment located very close to other services, as well as public transportation. The Main Street Clinic is not our only active location or program. We have added two other outpatient locations to make accessing services as easy as possible, no matter where a member lives. We have a small clinic located on SkyPark Way, and another across from the VA in White City, called the White City Clinic. We are looking to add Central Point Clinic in the not-to-distant future. We are also pleased to report that we have a fully staffed team of professionals who are ensuring that those coming in to initiate services (in addition to agency referrals, we take both walk-ins and telephone appointments) have been able to be seen the same or next day, if that is what is needed and requested--even if what they are coming in for includes psychiatric/med services. It is a great accomplishment that members can even access a doctor very quickly. One of our highest goals is to make sure that services are accessible to people when they need them, and avoid long wait lists for appointments. Our outpatient team includes a very caring support staff to welcome members, a Connections Team that sees each person right away and helps them identify what their needs are, a Long-Term Supports Team that helps those who perhaps have a higher level of treatment needs and/or a more serious and persistent mental illness, and a Psychiatric Services Team that provides psychiatric evaluations, ongoing treatment, and both prescription and medication management. We have and will continue to develop staff and infrastructure in line with increased need for services. The teams mentioned above represent a full-scale outpatient clinic, complete with licensed medical professionals (psychiatrists and nurses), qualified mental health professionals (therapists), qualified mental health associates/case managers, etc. In additional to outpatient treatment, we offer supported employment and representative payee services. We have an awesome leadership team who have extensive history and experience in the social service and mental health field. In addition to outpatient, we also offer other mental health resources. For instance, our Intensive Case Management team works with members who may have found themselves in crisis and need more intensive community-based services. This same team meets with individuals who end up in the hospital and need assistance connecting to services as they are being discharged to help them get the ongoing help they need. We offer short-term, residential crisis respite programming intended to provide a safe, therapeutic environment with 24/7 staff to help a person stabilize and then transition back into their own living environment. 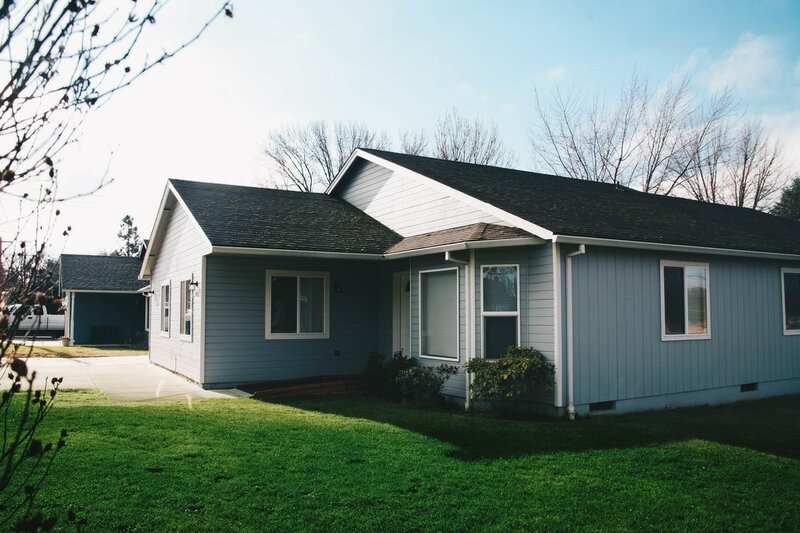 We offer mental health housing programs, both apartments themselves, as well as case management and financial assistance for those who need support in finding safe and affordable housing, getting into that housing, and then maintaining that housing. We firmly believe that every human being has basic needs, and when those are met, working on mental wellness and recovery is much more possible and successful. We do whatever we can to help people gain that much-needed foundation from which to then focus on their own wellbeing. ColumbiaCare understands that we are one piece of a larger, amazing community of service providers. In addition to primary health care services, Jackson Care Connect has a whole directory of mental health providers that its members can access based on their own specific needs and preferences. It is our desire to work hand-in-hand with our partners, and to also continue to build upon the pivotal programs we have already put into place. We look forward to improving, growing, and meeting members’ needs to the very best of our ability. We know it will not be perfect, but we set the bar very high for ourselves because we believe those who count on us deserve that. We look forward to earning the confidence of those who may be currently experiencing concerns. If you need help navigating services, finding a provider that best suits you, or even understanding your coverage, Jackson Care Connect staff are there to help. You can visit their website or call their member service line Jackson Care Connect Member Customer Service 1-855-722-8208 OR visit their website http://jacksoncareconnect.org/news/2016/12/22/mental-health-provider-choice-expanding. We look forward to working together with you. Our community gets better together. Monthly transition reports and program updates are based on data as of a certain date, and are subject to change frequently. 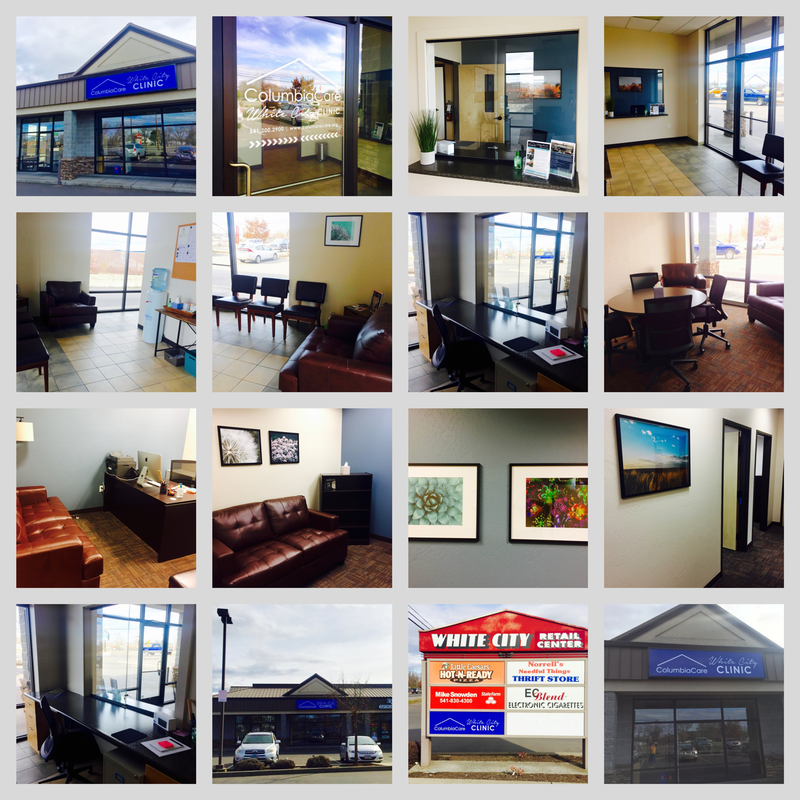 For the past couple of months staff and clients have been settling in the new clinic in Central Point. We had many new folks join our team since October: two new QMHPs, two new Clinical Managers, as well as a new Psychiatric Services Team Manager, and also a new Support Services Team member. our clients: one group at our Main Street Clinic and another at our Central Point Clinic. In November, we served nearly 700 clients, for a total of 1926 kept appointments. As always, we continue to focus on improving access to services. As usual, there are a lot of new and exciting things to report on, here at ColumbiaCare. At the end of August, our Outpatient Services Team had admitted over 1800 clients. Of those, 826 clients were transitioned from Jackson County Mental Health to ColumbiaCare Services, 477 were self-referred (meaning they called or walked in themselves seeking services), 371 were referred by their Primary Care Provider, ​36 were referred from either the Emergency Department or the Behavioral Health Unit, and 129 came into services another way. We are happy to announce that we are fully staffed, and that after a short period of time needing to prioritize psychiatric service appointments (those with the highest need and those being transitioned from JCMH first, and other referrals next), we have now worked through the entire referral list and everyone requesting an appointment is able to schedule with very minimal delay. ​Other great news includes our recent opening of Orchard Home, a 5-bed transitional housing program which serves up to 5 Jackson Care Connect Members who need extra supports for ongoing stabilization. Orchard Home is perfectly suited to be a step between Springbrook Crisis Respite Center and more permanent, independent housing. Clients of Orchard Home will have a maximum stay of up to 60 days, with case-by-case consideration of extensions where needed and appropriate. Staff will be on-site during the day, 7 days a week, to ensure client stability and to provide supports as needed. And, last but not least, we are so excited to announce that on October 3rd, we will be opening the doors of our new expanded outpatient mental health services clinic in Central Point! Please click on the new Central Clinic announcement below to read more! 872 JCC members are receiving ColumbiaCare outpatient services. Of those, 589 were clients already active in care and transitioned as part of a warm hand-off from Jackson County Mental Health, leaving approximately 250 clients more to go. 119 individuals have been referred to ColumbiaCare outpatient services through their primary care physician. We continue to add outpatient providers to our staff, and now have an active Intensive Case Management team providing Intensive Community-Based Services: a package of care from which Jackson Care Connect can access services on behalf of their members to help them transition out of more intensive and expensive levels of treatment, and when possible, avoid psychiatric hospitalization. It can also be used to help them maintain stability in their current living situation. We can essentially help solve some of the most difficult behavioral health problems a person can face, in the least intrusive way, while reducing costs to the system. Also, our White City Clinic location is fully-staffed and making services more accessible to JCC members! ​We are so very proud of each person's progress and success! We are also currently in the process of adding another transitional housing program, which will provide additional affordable, short-term housing for those in need. 779 JCC members are current open with ColumbiaCare outpatient services. Of those, 473 were clients already receiving services, who transitioned as part of a warm hand-of from Jackson County Mental Health; 274 clients have self-referred to ColumbiaCare outpatient; and 86 individuals have been referred to ColumbiaCare outpatient services through their primary care physician. ColumbiaCare began meeting with community partners to do warm introductions, provide information about the transition process, and describe upcoming services. Partners included hospitals, advisory groups, advocacy agencies, community collaboratives, primary care, mental health, housing, and alcohol & drug providers. ColumbiaCare began meeting with Jackson County to develop and begin the warm hand-off coordination process of transitioning the most appropriate clients, already open to services at JCMH. ColumbiaCare opened Main Street Clinic and began serving transitioning clients. ColumbiaCare began taking new clients. ColumbiaCare began providing Intensive Case Management services. The ICM team began providing hospital assessment & diversion, post-hospital follow-up, and other intensive community-based services. ColumbiaCare held a community partner Open House celebrating the opening of Main Street Clinic. ​ColumbiaCare held a community partner Open House celebrating the opening of Springbrook Crisis Respite Center. ColumbiaCare opened Springbrook Crisis Respite Center and began serving clients. ColumbiaCare opened White City Clinic and began serving clients. Please enjoy this ColumbiaCare Outpatient Program Welcome Video.